It has been a real success, a boom in attendance in our stand at TTG, the event dedicated to the Italian tourism promotion in the world, which took place in Rimini from the 10th to the 12th of October. A place to meet the best of the offer and the italian creativity in the touristic market. With great pleasure we have found the enthusiasm and interest of many who have come to know us for the first time, and the warmth of old friends and historical partners that we found at the TTG, with whom we have been working in close contact for some time. 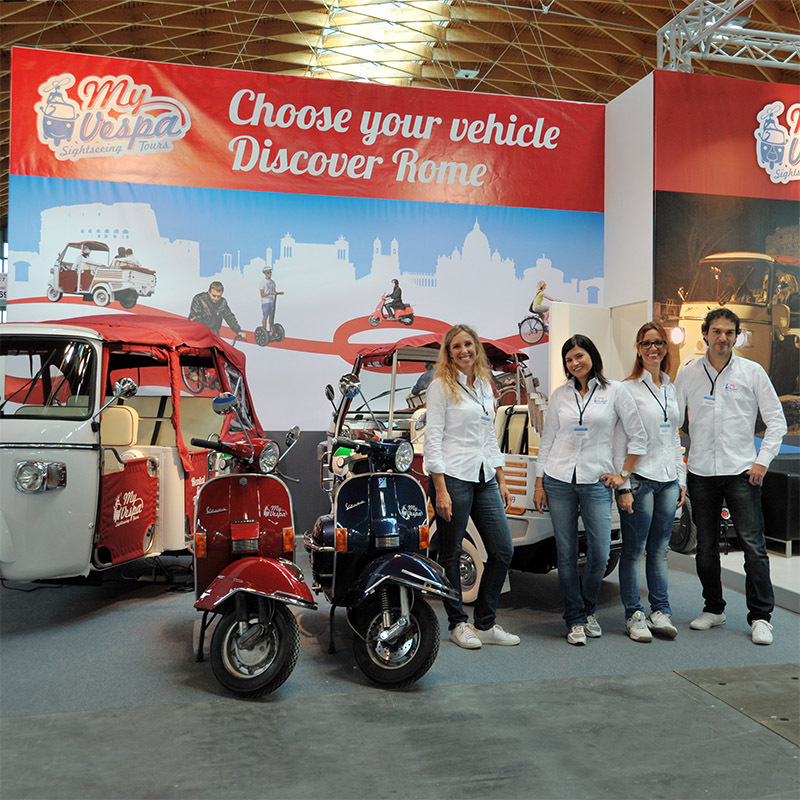 My Vespa is a lively and dynamic operator, with an open-minded vision regarding innovation in the tourism sector. It is with this spirit that embraces and integrates the most new technologies in its product offer, managing to catalyze the attention of partners and customers. A work carried out in recent years thanks to the vision of Francesco (tourist manager), the commitment of Daniele (coordinator) and the entire team of collaborators who have made My Vespa Tour a benchmark operator in the Incoming sector, which helps to expand the possibilities to know and enjoy the Roman and Lazio territories, from archaeological and cultural wonders, to landscape, food and wine. To make this splendid region not just a destination but a place where you can let the visitor live emotions.